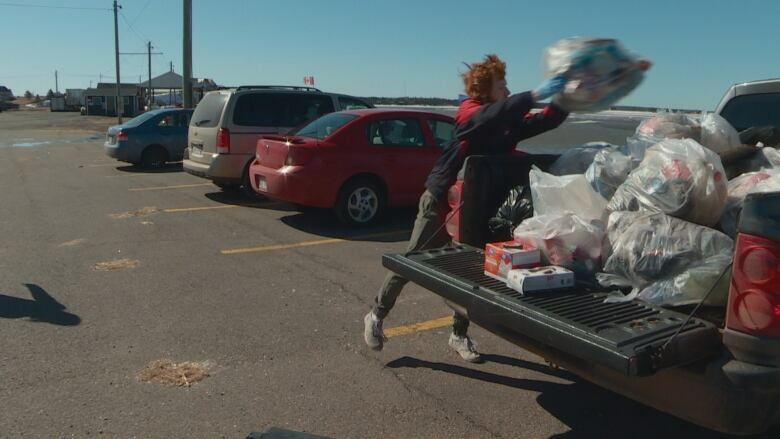 As melting snow reveals more and more garbage piled up on P.E.I. 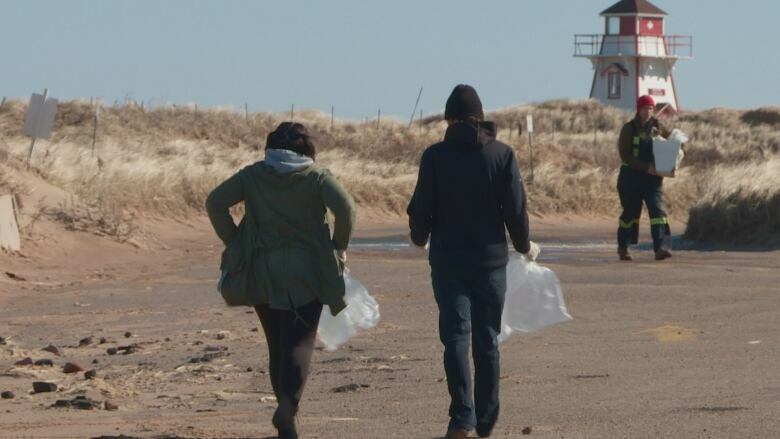 beaches, one group of Islanders came together Sunday to tidy it up. More than a dozen people combed the beaches and roadways between Covehead Wharf and Dalvay beach. In less than two hours the group collected nearly 60 garbage bags of trash, filling the back of a pickup truck that hauled it away. 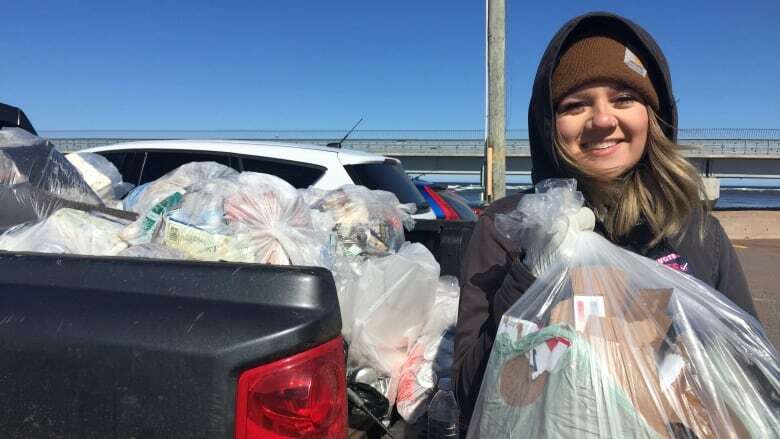 Sarah Donald, who organized the cleanup, said she's been going to beaches to pick up garbage almost every Sunday for the last few months. 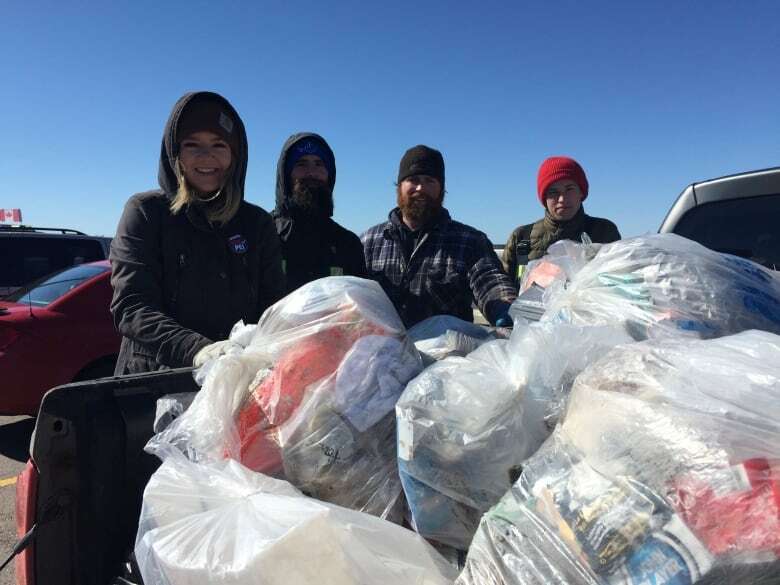 As the snow melted she noticed more garbage building up along the shoreline and put out a call for volunteers. "I've always really loved the area," Donald said. 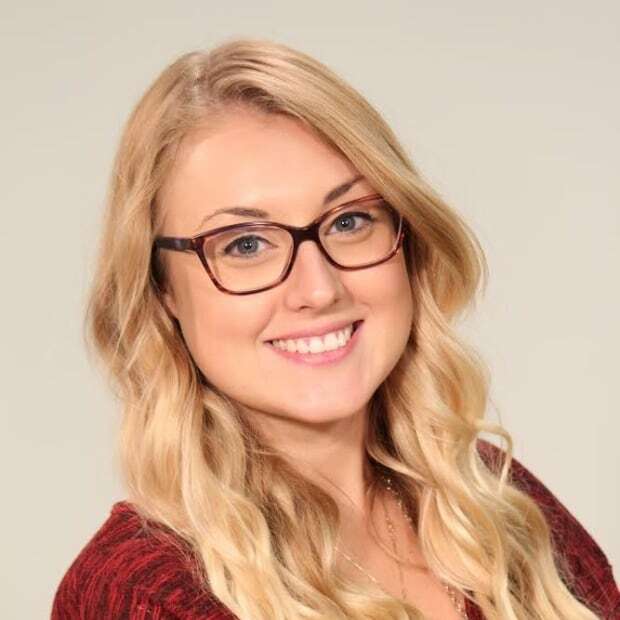 "I like to come to the beach here and go on hikes, so I thought I would kind of give back to a place that I enjoy spending time at." The most common things found are coffee cups, water bottles, plastic bags and aluminum cans, Donald said. She said after seeing how much of this garbage piles up along the shoreline it's made her rethink the products she uses and hopes the cleanup will help others do the same. Ethan Van Gaal was one of the volunteers. He said the most shocking part of the experience was the amount of garbage the group was able to collect in such a short period of time. "Driving around you don't really see that amount of garbage, but once you get looking for it and start picking it up you'd be surprised how much you find," he said. "[It] really puts it in perspective how much garbage is actually out there." Van Gaal said participating in a cleanup is a good way to encourage others to start paying attention to the impact the products they use have on the environment. "This is something that my neighbourhood needs in the ditches, in the fields. It can be done anywhere." Many of the volunteers said they want to make collecting trash a regular habit when going to the beach. Noah Stewart, who was also volunteering, said beyond the amount of trash collected the most surprising thing about the experience was how easy it was to do once everyone worked together. "I plan on doing this wherever I go," Stewart said. "I actually think more people should be doing this. This is awesome. I'm actually having a great time. It feels good." Donald said she plans to keep visiting beaches every weekend with a garbage bag in hand ready to pick up any garbage she finds.